Welcome to Anthem, located in Henderson, NV. 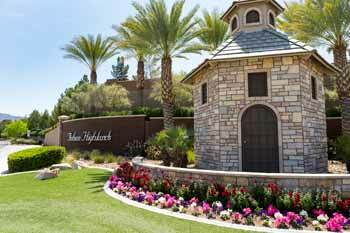 This exceptionally planned, 4,000+ acres community is nestled right up to the famous Black Mountains in Henderson, NV allowing for a captivating view of the Las Vegas skyline. No matter where you are in Anthem, you are sure to have wonderful views of the mountains and the surrounding city. 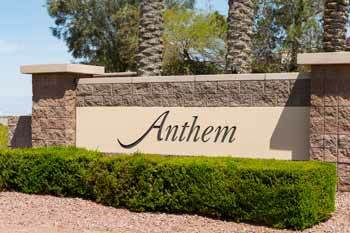 Anthem was started in 1999 by the Del Webb Corporation. With home prices ranging from the low $200’s, all the way up to customized luxury homes, this community has something to offer everyone. No detail has been spared in the development of these beautiful neighborhoods. Great care was given to the aesthetics with numerous parks, walking trails and designated bike lanes for all to enjoy. 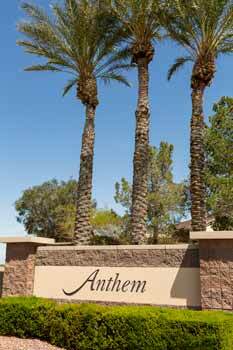 One of the number one sellers of the Anthem area is the Anthem Country Club. Membership is open to anyone and depending of the type, members can enjoy access to a number of resort-style pools, tennis courts, basketball and volley ball courts, recreation center and more. Not mention the 18-hole par-72 golf course designed by Keith Foster and Hale Irwin. Come see what this community has to offer you and find the home of your dreams.